I used to think of grace and truth as lying on a continuum.  Some churches emphasized truth, others emphasized grace, but the ideal was to find the balance right in the middle. At Hilltop Urban Church (EFCA), a good percentage of those who worship with us on Sunday mornings are living in sexually immoral relationships. We also have a generous sampling of greedy people, idolaters, revilers (verbally abusive people), drunkards and swindlers (1 Corinthians 5:9-10). While we love everyone the way they are (high-grace), we don’t necessarily want them to stay where they are. We want to invite them to turn their lives and wills over to Jesus as Lord (high-truth). Being a high-truth church means speaking truth from upfront on a Sunday morning, yet it also means learning to be good at accountability and, yes, church discipline. In addition to being the most grace-filled church I have ever been part of, Hilltop is the best at loving correction and holding people accountable for their behavior, and we do so within the context of loving, intimate communities. I wrote to you in my letter not to associate with sexually immoral people—not at all meaning the sexually immoral of this world, or the greedy and swindlers, or idolaters, since then you would need to go out of the world. But now I am writing to you not to associate with anyone who bears the name of brother if he is guilty of sexual immorality or greed, or is an idolater, reviler, drunkard, or swindler—not even to eat with such a one. For what have I to do with judging outsiders? Is it not those inside the church whom you are to judge? God judges those outside (1 Corinthians 5:9-13, English Standard Version). God requires us to judge (correct, discipline) insiders who engage in the bad behaviors Paul listed. We are to do that graciously and lovingly (Galatians 6:1-2; 2 Thessalonians 3:14-15) but also with clarity and firmness, seeking repentance. Yet Paul forbids us to judge (correct, discipline) those outside the church, saying we are to leave that to God. This brings us to the critical question: Since the way we are to relate to insiders and outsiders is radically different, how do we determine who are insiders and who are outsiders? Paul refers to “anyone who bears the name of brother” as an insider. I long assumed that meant anyone who calls himself or herself a Christian. But at Hilltop (and many other places) that assumption is problematic. Why? Given the culture of our neighborhood, almost everyone who starts attending our church considers himself or herself a Christian, even if living in an immoral sexual relationship, being actively addicted to drugs or alcohol, or relating to others abusively. “We call our members “disciples” to emphasize that this is not about joining an organization; rather, it’s a life commitment. Many of our people have no understanding of what it means to be a disciple. If we were to correct everyone who called himself or herself a Christian who also openly engages in the sins Paul lists, we would be compelled to hold confrontative conversations with almost everyone. Obviously, that would drive most of them away before they had a chance to learn what it means to follow Jesus. The truth is, “bearing the name of brother” doesn’t refer to whether people think of themselves as Christians but whether they have been brought into the family of disciples. At Hilltop, outsiders become insiders through being baptized, joining the church or both. We call our members “disciples” to emphasize that this is not about joining an organization, but rather about a life commitment to God and the family of God. “Church discipline outside of tested, loving relationships often does more harm than good. Our covenants of baptism and church membership include the line: “I commit myself to the family of God, to love and be loved, to serve and be served, and, as needed, to offer and receive loving correction.” Before they join, they must first belong to a house church or discipleship triad where heart-level sharing and accountability are the norm, and where that giving and receiving of loving correction primarily occurs. When people express interest in baptism or becoming a disciple, they meet with shepherds to be interviewed. This is where the hard conversations about sexual purity and addiction take place. We ask if they truly wish their shepherds and their house churches to hold them accountable for remaining sexually pure and clean and sober. Some candidates say, “Yes, I very much need that kind of accountability.” One candidate said, “I think I need to wait a year.” Yet another “went away sorrowful” and even quit attending the church for a while. What probably makes church discipline hardest in our culture is that the New Testament guidelines were written to be lived out in intimate communities, and most North American churches are not structured that way. Those being corrected knew that their leaders knew them well and loved them deeply. That love was not hypothetical but proven through the ups and downs of daily life together. Many churches today ignore all but the most egregious situations calling for correction—such as sexual immorality. And yet when church discipline takes place outside of tested, loving relationships, it often does more harm than good. That is why creating a church that is both high-grace and high-truth requires structuring our life together as the New Testament church did—as intimate community rather than primarily as congregation. Over the past five years at Hilltop, we have seen more leaders developed, more broken lives being put back together, more relationships reconciled and more spiritually hungry people coming into our body than in the previous 20 years combined. It’s not because of programs; we actually have far fewer programs than in the past. It’s because the very heart of our life together are these intimate gatherings where we constantly see God transforming our own hearts and the hearts of our brothers and sisters in this safe place of both high-truth and high-grace. Eddy Hall is staff team leader at Hilltop Urban Church in Wichita, Kansas. He is also a senior consultant with Living Stones Associates, a consulting team that assists churches with integrated planning of ministry, staffing, facilities and finances. His most recent book is The More-With-Less Church: Maximize your money, space, time, and people to multiply ministry impact.